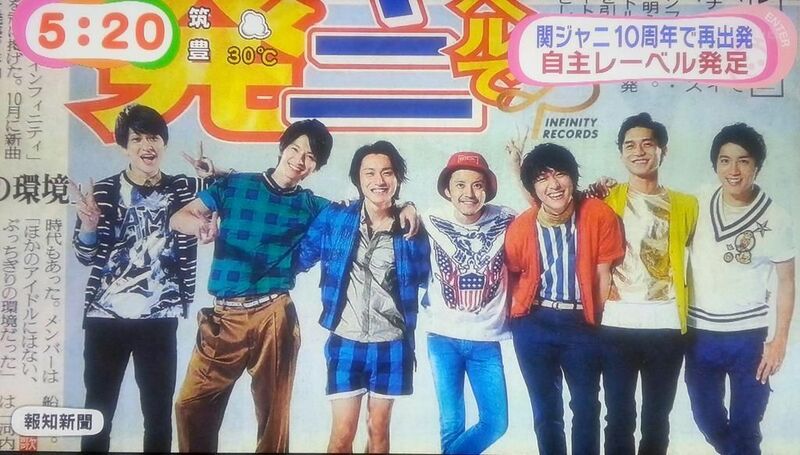 Kanjani∞ has entered their 11th year from debut since releasing a Kansai limited CD on August 25, 2004. They just finished their Jussai anniversary celebrations last August 23 and 24 at Nagai Stadium in Osaka and the referenced ‘risks’ in speeches and longer than usual emotional Thank You to staff are now making sense. 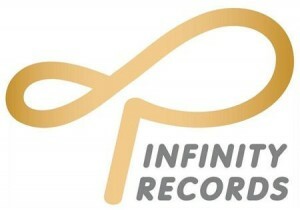 The name “∞ = INFINITY (infinity)” was made by members. Their contract with record company Teichiku Entertainment has expired on the 24th and they have since launched their own independent label ‘Infinity Records’, to be under the umbrella of J-storm. 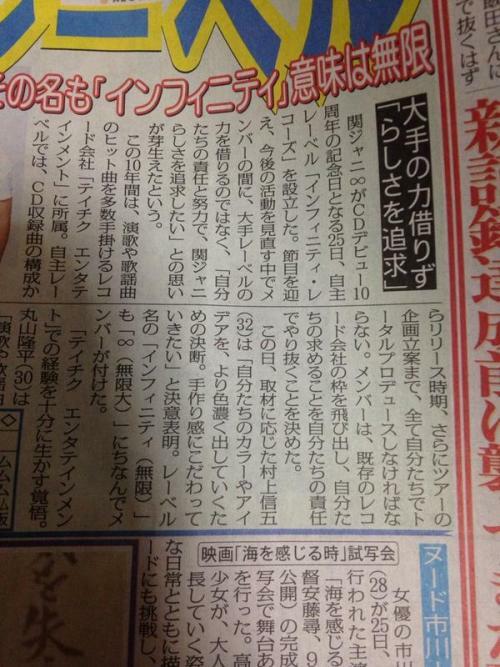 They have also announced a new single scheduled for release in October. A new album ‘Kanjanism’, that will strongly reflect the preferences of the members and include solo songs is slated before the end of the year. They will also embark on a 5 Dome Tour for the third time, expected to mobilize 600,000 audience with 13 performances. 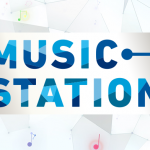 With the independent label, there’ll be an increased responsibility as members seek to pursue Kanjani8-ness. They’ll be responsible for production, from song arrangement & recording, release time, and concert planning. According to member Murakami Shingo, this has been decided so that “we can show our colors and ideas more deeply” and promises growth as a group.